Is a smaller PS3 Slim on the way? New PS3 on the way? All of the recent hype has been has been around the rumoured PlayStation 4, but recently-surfacing images suggest Sony may be plotting a new version of the existing PS3 console. 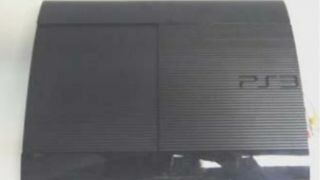 According to the photos, the console boasts a new crinkle-cut finish, rather than the smooth matte finish on the PS3 Slim, while the shape appears a little more rounded. The filing to Anatel says there'll be 16GB, 250GB and 500GB models. Regardless, any hardware revisions would likely be a final hurrah for the PlayStation 3, with the likelihood of a new new model in 2014.